The BAY is the original model that started the whole Oru story, now with a thoroughly updated design for 2017/18 it’s new name is the BAY ST. This kayak folds down into a 33x29x12″ box weighing just 26-lb (12kg). 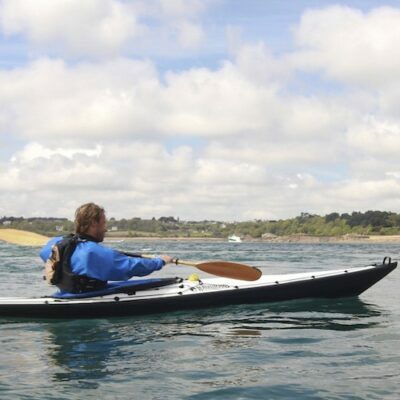 Still stable enough for beginners this kayak is the next step up from the ‘day at the beach’ Beach LT leisure model. 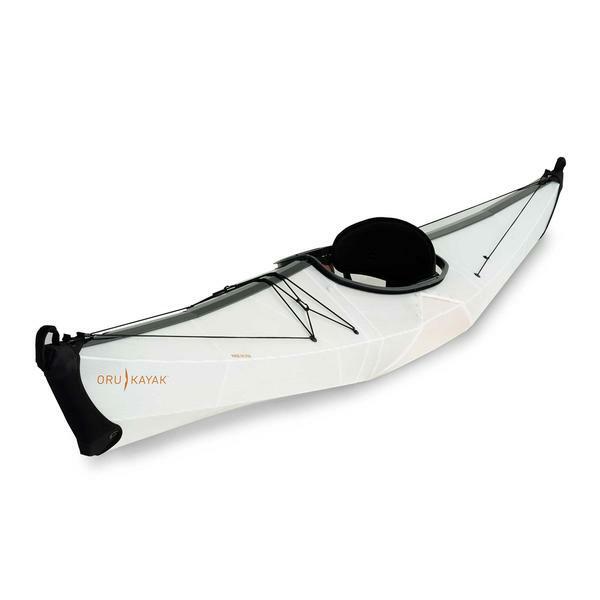 Ideal for day or short camping trips there should be enough room for all the gear you need. The Bay ST also has a skirt-ready cockpit, unlike the Oru Beach LT. 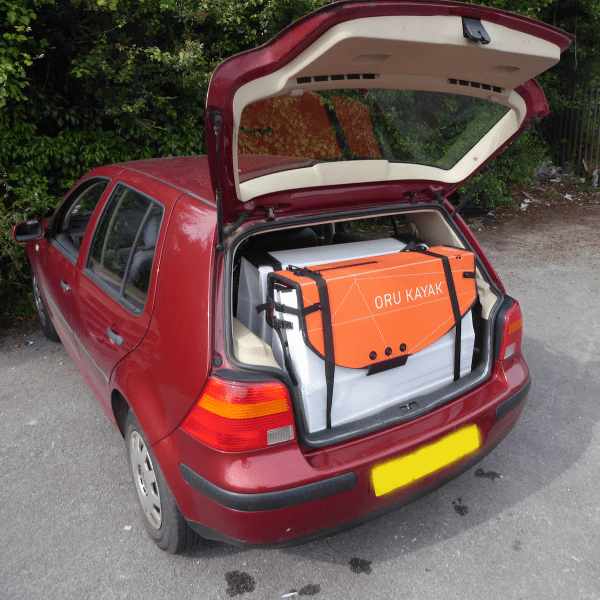 Carry it INSIDE your car (no roof rack): Photos show one folded Oru lying down in the boot of a VW Golf, with room to spare; and two folded Orus standing up (still behind the back seat, and yes the boot did close). We’ve found the Bay ST to be very quick in the water, with great glide characteristics (some kayaks just stop when you stop paddling, not these) and reassuring stability. 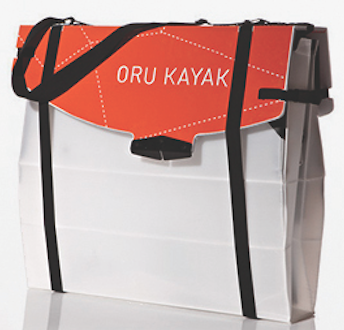 Many of our more experienced paddling customers initially bought an Oru “as a backup” but find in reality it’s the one they use most – because it’s so easy to transport and store. 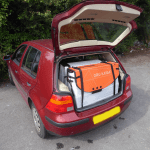 You could almost (and some people do) keep it in the back of your car permanently, just in case you’re passing a nice spot of water on a nice sunny day. 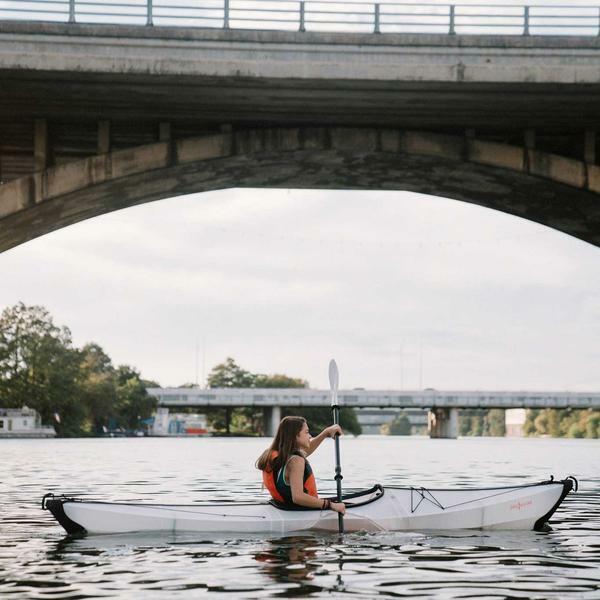 * NB, not the “official” Oru paddle (which is £99), but we think it’s very good at the price, with nice solid joints – and crucially it fits inside the folded kayak package.